Tuesdays (the 2nd and 4th Tuesdays) is Tot Time from 10:30am - 11:30am. NA in Cresco is an open meeting which means non-addict friends and relatives are welcome to attend. Meetings are held every Tuesday, 7:00pm at First Lutheran Church. Wednesday, April 24th is the Staff Appreciation Lunch from 11am - 1pm at the Heritage Events Center. Reserve your tickets with the Cresco Chamber of Commerce, 563.547.3434. Need not be a Chamber Member to attend. Every Wednesday at NICC Cresco is Weight Watchers. 4:30pm weigh-in, 5:00pm workshop. Call 563.547.3355 for more information. Come out and see the cool cars, trucks, and motorcycles. Great music, specials, and door prizes! Thursday, April 25th from 7:30am - 3:00pm at the Cresco United Methodist Church is pillow cleaning. Bring in your pillows on Wednesday, April 24th from 6-8pm also. Join local law enforcement and domestic abuse advocates for lunch to find out more about how domestic violence impacts Howard County and how to help. CALL 563.380.2809 TO REGISTER for this Lunch/Learn workshop from 12:00 Noon to 1pm. Crestwood Prom, Saturday, April 27th, 8:00pm. Cresco will begin its 2019 yard waste collection program on Monday, April 15th. City crews will collect yard waste on April 15 and 29, May 13 and 28, October 7 and 21 and November 4 and 12. All yard waste must be set out before 7am on the above dates. With specified paper yard waste bags, only leaves, grass clippings, garden waste, bark, nuts, and pine cones should be bagged. Tuesday, April 30th is the spring and summer deadline signup for recreation and pool activities. Online registration required at cityofcresco.com. For more information call 563.547.3443. Tuesday, April 30th from 12:00 Noon to 5:30pm is the Cresco Community Blood Drive through LifeServe Blood Center. Reserve your appointment by calling 800.287.4903. Friday, May 3rd starting with a lunch stand at 11:00am is the Notre Dame Mini-Carnival at the School Gym. Preschool games at 12:00 Noon, K-6 games and Bingo begin at 1:00pm and the Raffle Drawings begin at 2:30pm. Come join the FUN! The Howard County Dementia Caregiver Support Group meets the first and third Friday of every month at 1:30pm at the Cresco Public Library Program Room (downstairs). Cresco Public Library is handicap-accessible. The Howard County Dementia Caregiver Support Group is available for people to build a support system with people who understand the challenges inherent in dementia care-giving. The Alzheimer's Association caregiver support groups, conducted by trained facilitators, are a safe place for caregivers, family and friends of people with dementia to develop a support system, exchange practical information on care-giving challenges and possible solutions, talk through issues and ways of coping, share feelings, needs and concerns, and learn about community resources. 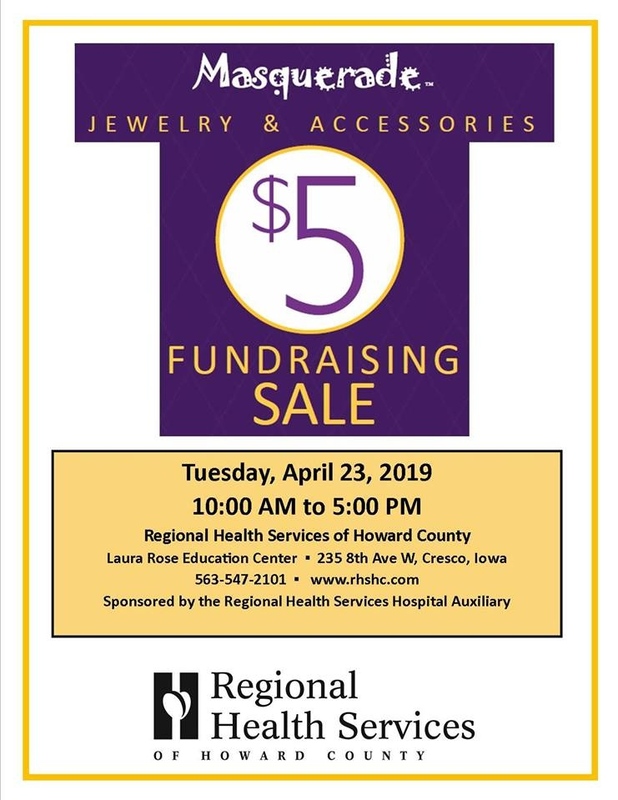 This program is presented by the Alzheimer's Association East Central Iowa Chapter. For more information, please contact their office at: 319-294-9699. Friday, May 3rd from 5-7pm is auditions for the upcoming production of 9 to 5 the Musical at the Cresco Theatre & Opera House. For more information, call Jayne at 563.547.6993. 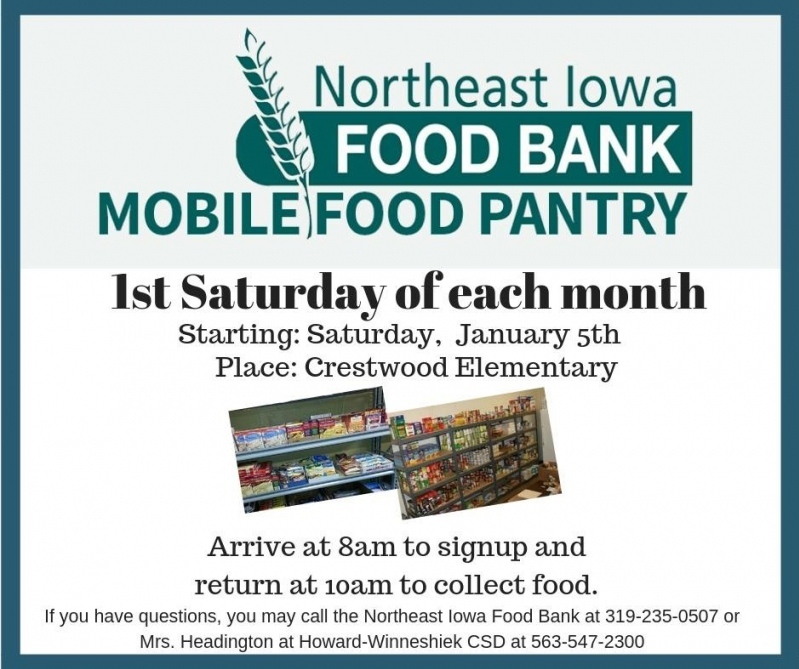 The first Saturday of each month is the Northeast Iowa Food Bank Mobile Food Pantry at Crestwood Elementary. Signup is at 8am and return 10am to collect food. For more information call the NEIA Food Bank at 319.235.0507 or Mrs. Headington at Howard-Winn at 563.547.2300. Friday, May 4th from 9-11am is auditions for the upcoming production of 9 to 5 the Musical at the Cresco Theatre & Opera House. 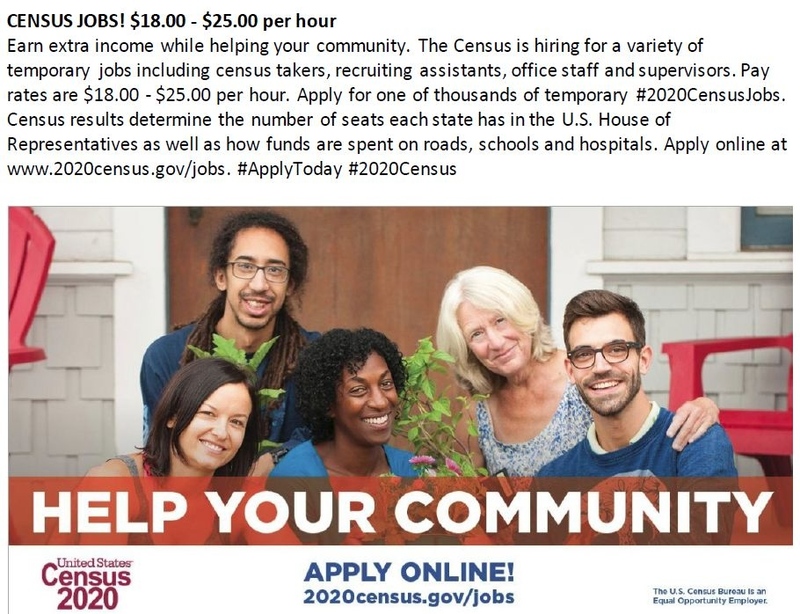 For more information, call Jayne at 563.547.6993. A & W will give 15% of all sales to the Crestwood PTO. Elementary staff will be working at the Restaurant. There will be games and prizes. Saturday, May 11th is the Todd E Schmauss Scholarship 5K Fun Run/Walk at the Prairie's Edge Nature Center. Registration is from 8-9:30am with the race following. Entry fee is $20.00/adults and $12.00/children. Enter online at Raceentry.com, Facebook events by mail or day of the race. Contact Becky Jennings at 608.415.1205 or jenningsrj89@gmail.com for more information. This morning activity is just what you need to "spring" out of this cold weather! Our popular Fizzy Bath Soak Workshop is back! Our theme this time was inspired by berry aromas and unicorn dreams! Fizzy Bath Soak - a deconstructed bath bomb but WAAAAYYY better. Unlike a traditional bath bomb, you can add as much or as little to your bath, getting more than one use! As always, your child will be able to express their creativity with a little teamwork to create an 8oz product worthy of any bath time experience! Adults are welcome to participate! Parents with children 2nd grade and up, drop them off and grab breakfast and a coffee next door at Dough and Joe! Space is limited to 10 participants! A minimum of 6 participants are needed to hold this class. In the event that there are not enough to hold the class, a full refund will be given. If the class is held, all sales are final. No refunds on cancellations as supplies are purchased. Email bathhousemarket@gmail.com with any questions. Sunday, May 12th serving from 9am - 1pm at the Heritage Evens Center is the 2019 Mother's Day Brunch sponsored by the Cresco Kiwanis Club. Tickets may be purchased from any Kiwanis member or at the door. Featuring both breakfast and dinner menu, new this year is the Farmers Special - carry out only for that farmer in the field. Adults: $14.50, Farmer Special: $13.50, Youth (ages 7-10): $10.00, Ages 3-6: $7.00 and Ages 2 & under: FREE. Sunday, May 12th is the return of the Cresco Speedway Races. Find more information at Facebook by searching Upper Iowa Speedway or at https://www.mhcfair.com/site/mhcf-speedway-landing.php. VFW Auxiliary meeting at Evans Memorial Home. American Legion Post 135 meets the second Tuesday of every month, 7:00pm at the Legion Hall. Todd Stephenson, a Certified NRA Instructor with over 30 years of firearms experience, will be holding a MINNESOTA AND IOWA Concealed Carry class on Sunday, May 19, 2019 at the Cresco Wildlife Club on the Howard County Fairgrounds in Cresco. This class is one of the MOST COMPLETE Minnesota and Iowa concealed carry training programs offered. Pre-registration will begin at 8:30am, and class will begin promptly at 9:00am. Class should conclude by between 6:00pm and 7:00pm. You must be 21 years or older the day of the class to receive a certificate. Students will be required to qualify using .22LR firearms and ammunition provided by the instructor. Eye and hearing protection will also be provided. 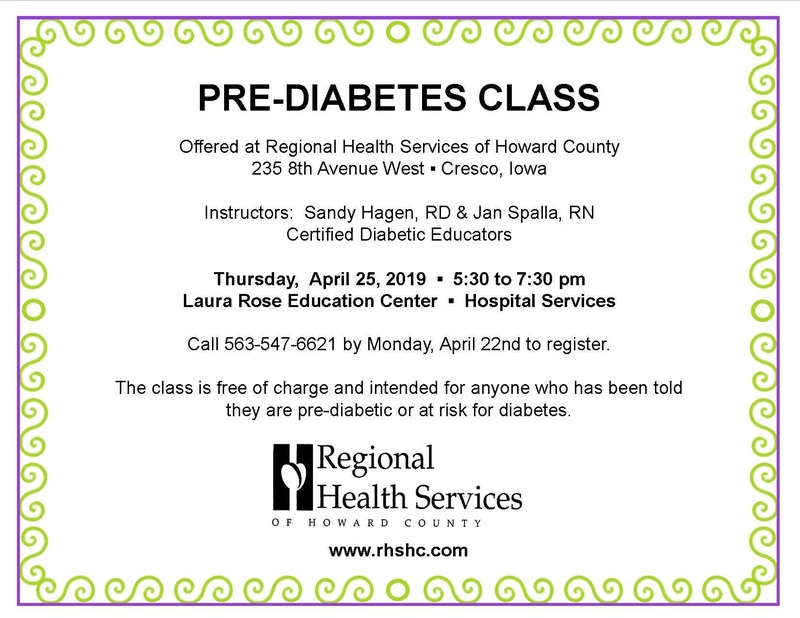 The fee for this class is $125.00 – you may bring your driver's license and pre-register in person at Outdoors & More, Inc. in Cresco during normal business hours OR you may show up the day of class to register. Either way, please CALL ME to reserve your seat ASAP – if I have seats available, walk-ins are welcome the day of class, but class size IS limited. When your class fee is paid, you will be provided with a one-year Single membership to the Cresco Wildlife Club. If you are already a member of the Wildlife Club, you will be provided with a one-year single membership extension (upgrades to FAMILY memberships are just $5.00 more). 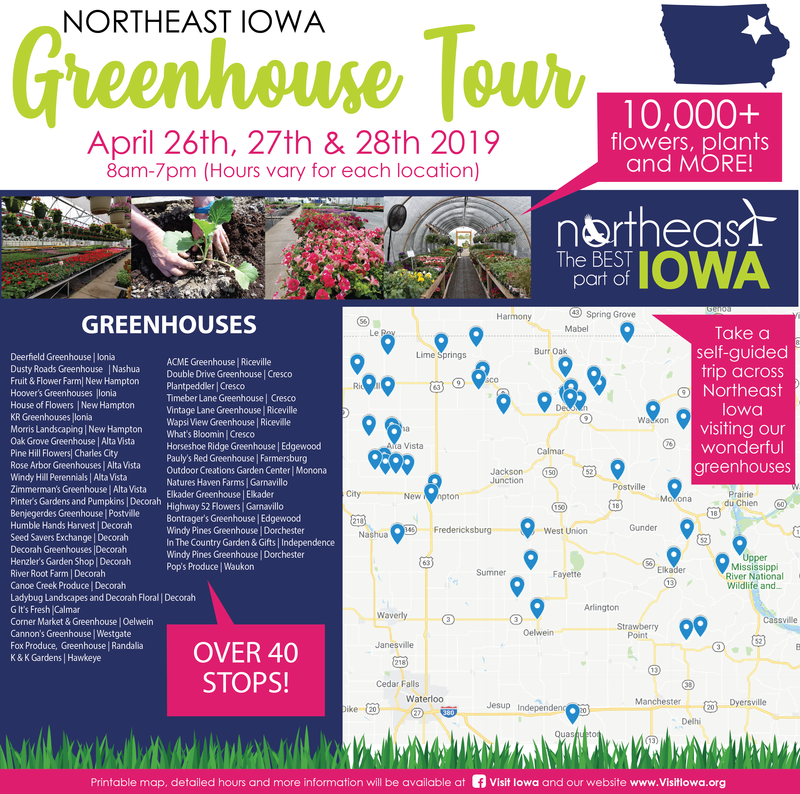 Please call Todd Stephenson at (641) 257-9345 for more information or visit Outdoors & More at 115 3rd Ave. West (behind Billmyer Furniture) in Cresco to reserve your seat. Walk-ins the day of class will be accepted if seats are available, but class size WILL be limited, so I encourage you to reserve your seat(s) early. Congratulations Crestwood High School graduates. Parents-to-be hear information directly from our RHSHC doctors about childbirth, C-sections and pain-relief options. Nurses will discuss labor, breastfeeding, and postpartum care. Register by calling Amanda Shindelar at 547-2022 or Stephanie Riley at 547-6380. This class is free to parents delivering at RHSHC or if not, $25. The American Legion Rider meeting is the third Tuesday of every month, 7:00pm at the Legion Hall. Last day of school. Enjoy your summer break!